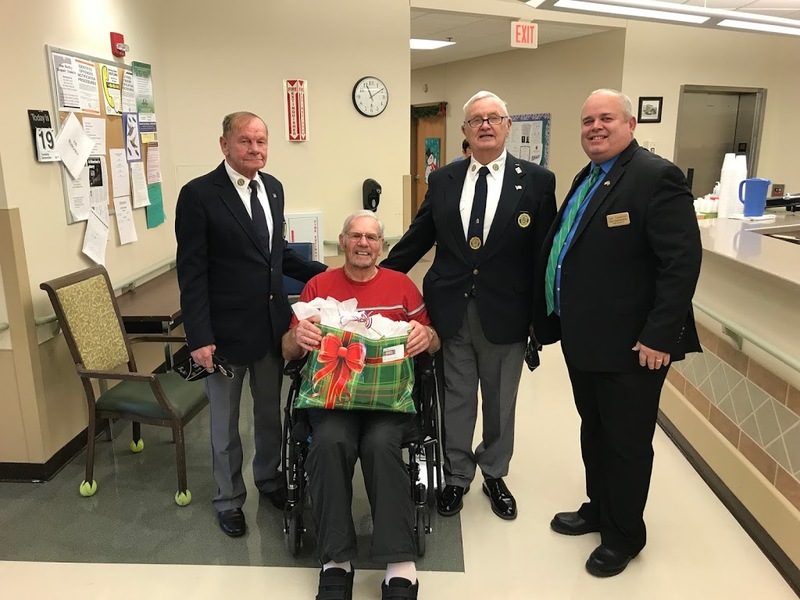 American Legion Post 45 Post Commander Wayne Glisan, resident Gene Boehle, Adjutant Lloyd Anderson, and Rep. Dan Swanson at the Quincy Veterans Home on December 19. State Representative Dan Swanson visited the Quincy Veterans Home on Tuesday, December 18 following reports of another case of Legionnaires Disease at the Western Illinois facility in late November. In a report issued to IDPH this Summer, protocols were detailed by CDC officials, IDPH officials, VA officials, representatives from mitigation contractor Phigenics and the Adams County Health Department. Those protocols and procedures are being followed and are largely credited with identifying the most recent cases early and allowing treatment as well as further mitigation to occur. Additional capacity building at local hospitals continues to be an issue worked on to better identify community cases of Legionnaires Disease, which is often simply diagnosed as pneumonia. The long-term care facility is a 200-acre campus with 48 buildings, including seven residential buildings built between 1886 and 2011. Nursing home care is provided to more than 350 residents by over 577 employees and volunteers. The Home is credited with a local economic impact of over $54 million. Renovations to the water treatment facility included reduction of aerating fixtures, protocols for sanitizing of all water sources as well as flushing systems to allow hot water flushes of all water lines on a regular basis to reduce accumulation of bio-films. Point of use filters have also been implemented throughout the facility in accordance with a comprehensive water management plan. According to the report issued in June, the water management program aligned with best practices identified in the CDC’s water management toolkit. Control measures, control limits, and control points were routinely identified, and corrective actions consistently taken. Meanwhile, Rep. Swanson decried efforts by some members of the legislature to “politicize the issue of veterans’ health care. I would encourage members of the General Assembly to visit the Quincy Illinois Veterans Home to see first hand the proactive measures instituted to keep all our veterans healthy and safe. Continued vigilance will be needed, but is also expected,” said Swanson, a 27-year military veteran and member of the House Veterans Affairs Committee.